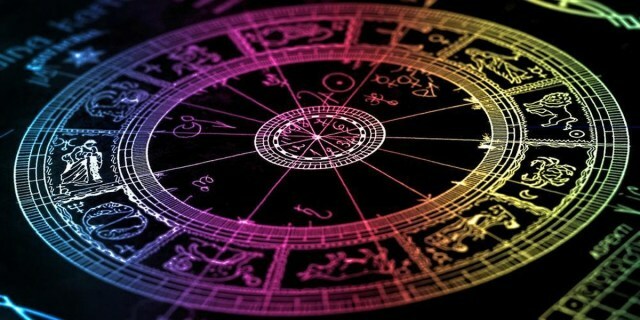 A birth chart, or natal chart, shows the exact placement of the planets in the zodiac during a person’s birth. Such charts are the grounds in synastry, also known as horoscope compatibility and astrological sign compatibility, the branch of astrology that assesses the relationship between people by comparing their birth charts compatibility. The traditional horoscopes which are quite popular these days in print, online, and electronic media are just the written interpretations of the birth charts. They are just the end result of a series of mathematical computations. Looking at a birth chart is like looking at a cosmic mathematical equation. In astrology compatibility, such equations are vastly important, if anyone is to arrive at any conclusion after scrutinizing the angles of planets, the sun, and the moon. When reading a birth chart, the first thing to look for is the Rising Sign, or the Ascendant, the astrological sign that rises in the east at the time of your birth. This is the sign that reflects your personality, including how you look, how you make people see you, and how they actually see you. Similar sun sign and rising sign indicate a simple personality, since your outer and inner natures are at peace with each other. Next are the planets in the signs. The North Node, oftentimes indicated by a horseshoe symbol, is a hint on an individual’s comfort zone. Take for an example a person born with the North Node on Gemini. Chances are this person will be excellent in situations like teaching, communications, and writing. The opposite of the North Node is of course the South Node which indicates the nature of the situations a person will likely be feel less comfortable. There are also the elements and modes. In astrology, especially in astrology compatibility, there are four elements, namely fire, air, water, and earth, and these are the categories that the zodiac signs fall into. Then there are three modes: Cardinal, Fixed, and Mutable. The signs of the zodiac are divided into these categories as well. Cardinal signs are characterized by forceful personalities, Fixed signs are reliable, and the Mutable ones are ever flexible. When making important decisions, it is always important to look at the natal aspects. These aspects refer to the relation among the sun, the moon, and the planets. The natal aspects are not always included in simple birth chart reading, and are often found in advanced horoscope compatibility. There are also the planets in the houses which are 12, each representing an area or aspect in life. The sun, moon, and planets coincide with the path of the houses, but since the houses are 12 and the planets (including the sun and moon) are only 11, one house or two may not have a planet within bounds. However, take note that not having a planet in your house is a negative sign. In astrology, the absence or presence of a planet in a house simply demands a different interpretation.